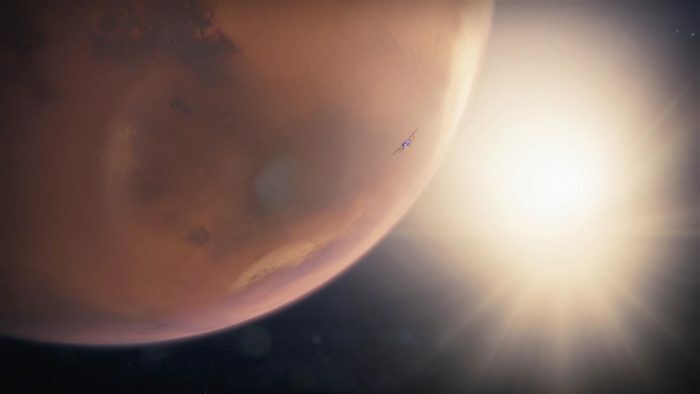 Return to the Leviathan for another round in the ‘Spire of Stars’ raid, included in Destiny 2: Warmind. The DLC’s punishingly difficult Raid Lair is essentially a shorter version of the standard Leviathan Raid with a much higher Power Level requirement. Instead of fighting through multiple punishing hours, you’ll only have to get through a handful of challenges. Basically, you’re looking at three different rooms and four separate steps. But that doesn’t begin to describe how tough this Raid Lair can be. Here, you’ll fight the deposed Emperor Callus of the Cabal, and his massive boss battle requires some truly insane coordination. Every sequence in this raid is reserved for the best teams that can stay coordinated, and that have managed to grind up to PL 370 at the lowest. It’s really, really tough, so you’re probably doing to want to know what’s in store — check out the step-by-step instructions below, and we’ll explain what you need to know for every single challenge. The Spire of Stars Raid Lair has a steep Power Level requirement — PL 370. Everyone in your team needs to be PL 370 or higher. Any lower, and you will get crushed. In the first room, you’ll find a Greed Ball — essentially, a ball that drops the “Greed” status on players. This is found in the back of the room. Grab it and throw the ball at the cauldron in the center to begin the challenge. The goal of this challenge is four players to reach each of the four elevated platforms. Pass the ball to a player and stand on the tower platform until it rises up to the top — then pass it to another player, so they can rise up another tower, and so on until all four towers are completely raised. Beware, you’ll die from the “Greed” effect if you hold the ball too long, or stand on the elevating pillars without holding the ball. Make sure to throw the ball and raise all four pillars before any one pillar drops all the way back down. If one does fall to the lowest level, it will trigger a team wipe and you’ll be forced to start over. Be prepared to start passing the ball and put everyone in position. Once your team fully charges the ball by raising the four pillars, toss it at the cauldron. Repeat this three times to complete the first phase. Grab you reward chest and drop into the hole under the statue. Continue to drop until you reach a truly massive open area. Go to the right and use the orange terminal switch to raise the bridge so you can move and jump through the rest of the challenge. It’s completely straightforward, but you’ll need to know your limitations and platforming abilities to survive. Jumping to the spinning fan-blades, climb up into the center column and hit a second orange terminal button. There are three orange buttons you’ll need to hit in this platforming area to progress. After hitting the third orange button at the top of the fan cylinder, you’ll take the bridge inside the maintenance tunnels. When you reach a room with a big red pillar in the center, shoot the struts holding it in place to cause it to drop. The Emperor appears temporarily before flying away, leaving you to fight an army of enemy reinforcements. Clear them all out, and then look around the room — from the center, you’ll find two sets of floor plates — four outer plates, and three inner plates. Three players need to be assigned to the three inner plates — a triangle on the left, a circle in the center, and a spaceship design on the right. After killing all the enemies, the four outer plates will glow orange and one random player will gain the “Superior Retainer” buff. Four players need to stand on the glowing plates, and a beam will shoot up into the sky. The Guardian with “Superior Retainer” now needs to jump into the tall pillar of orange light and ride it up. Players must stand on the outer plates or the beam will lower. After riding up the orange light, you’ll be transported into space and (you might) view a strange symbol. Take a screenshot or memorize this symbol! It is one of the three symbols on the inner plates. Tell your teammates if you see it. Now, stand on all three inner plates. There is a door near each inner plate, and when the door is opened, you’ll see a purple device inside. A ball will also spawn — depending on the symbol that appeared in space, you’ll want to throw the ball into one of the purple devices. Kill all the enemies in the Celestial Observatory. Stand on all the glowing plates and jump into the pillar of light with the “Superior Retainer” buff character. Fly into space. When someone sees an icon, tell your team. Assigned players to the three inner plates should stand on them, opening the doors. A ball will spawn on one of the random outer plates. Charge the ball with white glowing “greed” energy. Pass the ball to the player standing on the inner plate seen in the space area. When three players are standing on three plates, the doors will open. Throw the greed-buffed ball into the purple slot behind the door nearest the plate your team saw in space. Hitting the right purple slot causes damage to the ship, but doesn’t destroy it. There’s another step we have to take. Another ball will spawn — and another player will get the “Superior Retainer” buff. Send that player to get the ball (or pass it), run through a “Greed” aura buff, and then have the team stand on the outer plates. Ride the orange light up, and throw the ball at the ship floating in this strange space to destroy it. Like before, repeat this step three times and destroy all three ships that appear in space to complete the battle. After completing the first phase of the Celestial Observatory, the big boss will return. He’s invincible at the start — spread out your team, and take out enemies as they spawn. There are an insane amount of enemies here, so I’m not going to talk about strategy. Kill enemies until the boss shield turns purple. A ball will spawn randomly on one of the four outer plates. An “Engulf” debuff will hit everyone. To survive, throw the ball to everyone on your team. If you do not touch the ball, you will die when the timer hits zero. After that, you’ll need to stand on all four outer plates. One random player will get the “Superior Retainer” buff — stand on all four plates, raise the orange beam of light, and have the “Superior” Guardian ride it up into space. From space, one player should be able to see two inner plate symbols instead of one. Call those out (left, middle, or right) — you’ll also find two balls that randomly spawn on two outer plates. Just like before, you need to charge the balls in “Greed” buff energy, then stand on all three inner plates — the only difference is, now you need to coordinate and hit the purple devices behind the doors with two energized “Greed” balls instead of just one. It doesn’t have to be at the same time. After that, two players will get “Superior” buffs — again, stand on all four outer plates and raise up an orange tower of light. The two “Superior” Guardians should each have a ball (two more spawned on outer plates) and charge those in “Greed” buff before riding up into space. The two “Superior” Guardians (each with a Greed-enhanced ball) will teleport into space. Destroy two ships by throwing the balls — make sure to say which one you’re going to hit! You don’t want to waste any of your ball throws. NOTE: GRAB ALL THE PURPLE HEAVY AMMO YOU CAN AND SAVE IT FOR THIS NEXT STEP. Another ball will spawn. Throw it at the boss shield generator to cause the immunity to finally drop. Now you can dish out direct damage to the deposed Emperor. Hit him with everything you have. Unload all your Specials and Heavy Ammo. After that, the shield will return and the boss will hit everyone with “Engulf” — pass the ball to everyone to save them, and then repeat all the steps to drop his shields. You’ll need to repeat the process until the boss is completely dead.